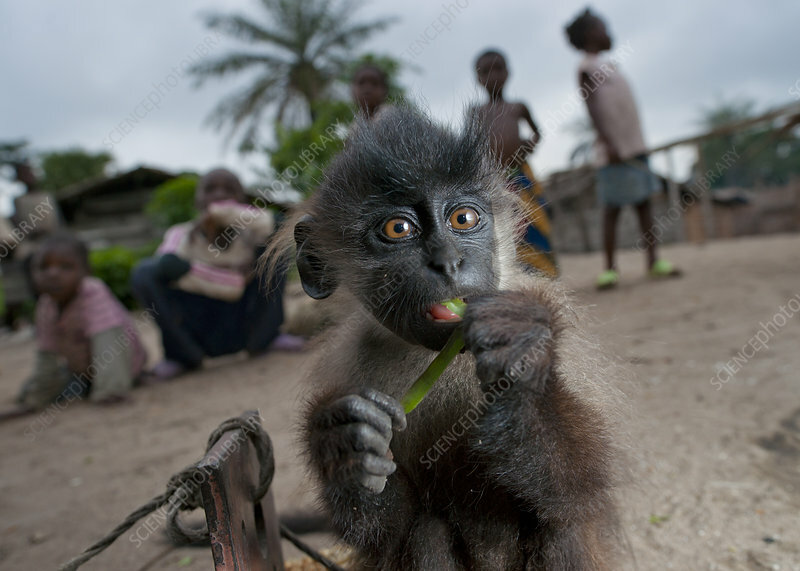 Grey-cheeked Mangabey (Lophocebus albigena) juvenile and village children looking on. Captive, kept as a pet until large enough to be eaten. Bayanga near Dzanga-Ndoki National Park, Central African Republic.